9:00 a.m. | Pavilion Praise – A time of worship led by Rev. Dr. Gina Hendrickson, Northern Shore District Superintendent and sponsored by St. Paul’s UMC in Ocean Grove and the Ocean Grove Camp Meeting Association. 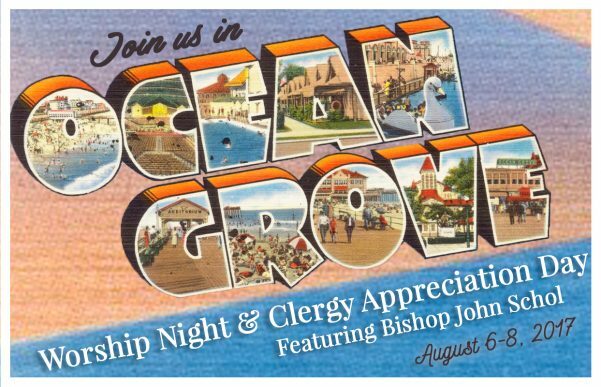 Clergy and families are welcome to enjoy a day at the beach and explore the town of Ocean Grove. Joining Bishop Schol on Sunday night, will be Eric Drew, GNJ’s Director of Worship, who is amassing singers from around GNJ to join in a special United Methodist choir experience. 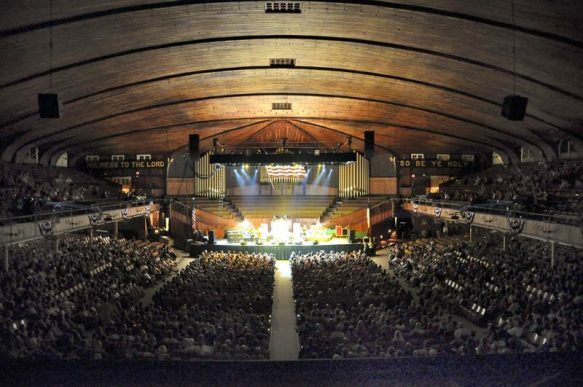 “There’s nothing better than inviting a mass choir, and as many Methodists as we can get, to come together to worship through song, prayer, word and table,” he said. Drew hopes to have as many as 250 join the choir from throughout GNJ. Anyone interested in singing in the GNJ choir can sign up on the GNJ website. Choir rehearsal will begin at 3:00 p.m. on August 6 in the Great Auditorium followed by a special dinner with the Bishop at 5:00 p.m.
Drew expressed enthusiasm over the chance to connect the Methodist tradition of past songwriting which engaged the culture of the time and sharing some of his own music in which he hopes to engage the timeless message of the Gospel with sounds from modern culture. Last month, Drew released a uniquely Wesleyan full-length worship album titled “Center of It All.” Produced by Kurtis Parks, Drew wrote and performed the 11 songs on the album and created a free worship resource kit for churches including sheet music and chord charts. Half of all proceeds from the album go to benefit the GNJ Mission Fund and the other half toward creative worship endeavors in GNJ. To round out the celebration, clergy and their families are invited to join in fellowship and fun on Monday, August 7 in a day set aside to show appreciation for GNJ clergy and their service. The Bishop will lead a morning Bible hour and a picnic for clergy and their families will be shared on Pilgrims’ Pathway. Enjoy a day at the beach or spend the afternoon shopping at Ocean Grove’s unique gift shops. There is something for everyone at the GNJ celebration in Ocean Grove. Clergy, laity, families, and congregations are encouraged to attend the unique summer experience. For more information and to register, click here.